between not knowing and knowing. It's the moment you first sit down with a new book. feel your world change and expand." Her daughter taken, a woman is abandoned to die at the feet of her mother's enemies. Such is Lira's welcome to her native home, where she is both the most hunted......and the safest. It doesn't matter which way she runs, though, as all paths can only lead her to the one destination she isn't ready to face. For those craving fantasy written a little differently......though of course there's still dragons. A 12 page short story about a family camping in the woods. They don't realize that they're being watched, or that the trees will change them. Breath Between Seconds: Surrounded by death, a soldier reflects on the victory she has won her House. Mysteries of Death and Life, a fantasy anthology showcasing eleven different ideas about lost heroes. Hosted by the IWSG and published via Dancing Lemur Press. Click here for a Hero Lost's page. Available at Amazon and other outlets. ​I made a big change last December: I decided to remove Red from everything other than Amazon. The incentive to stay on iBooks and Kobo and Google and Smashwords fizzled out. I'm hoping to take advantage- soon- of Amazon's Unlimited program, also, and to do that a book cannot be available elsewhere. ​Be sure to read my latest blog post here, where I get pretty personal about what I have and haven't been doing this last year. Well, it seems I have an annual promise to continually break. I keep saying I'm not going to do another author event until Book Two is complete, but I couldn't refuse this one either. So much more than just writing- science, art, and music too! The building itself sounds spectacular. I'm really excited! To that end, the last five years since publishing Red have gone by in a whirlwind. So much has happened to pull me from writing- some good, others not. In that span of time, Book Two, while not always actively getting written, has been actively evolving and changing. They all went and did things I didn't see coming, which calls for a lot more rewriting than I'd anticipated. Honestly, though, I've learned to just follow along and not complain. They know their story better than I. However, great news- I've been actively writing since I finally, finally, have an awesome, designated space in which to do so. Little things do actually make a big difference. Pockmarked walls and piles of stuff with nowhere to go don't lend well to creative ingenuity. It's been a year since updating this. I'm going to tidy up a little- while listening to Mr. Him's spectacular playlist- and get back to writing. ​I'm doing Nanowrimo for the first time this year! It's been a long time since I've done an author fair. But I'm happy to announce that I'll be back where I began on Sunday, November 8th 2017, with The Oak Lawn (Illinois) Public Library Author Fair. The death of a computer for a writer is a very traumatic event. But after a super long hiatus due to my Dell dying, I am back via a new Lenovo. There's a lot of catching up to do! And I can, as I was able to salvage all my files and photos and stuff from my beloved Dell. Woohoo! Crisis averted. He lasted a good long time (12 years). It was a good death, I hope. Just so you know, a lot has changed in the world of computers and software in 12 years. I am loving all that my new Lenovo is bringing :-) But it's going to be a slight learning curve. Bear with me. Cover Reveal for Hero Lost: Mysteries of Death and Life is set for January 23rd! Release date is set for May 2nd! Great news! 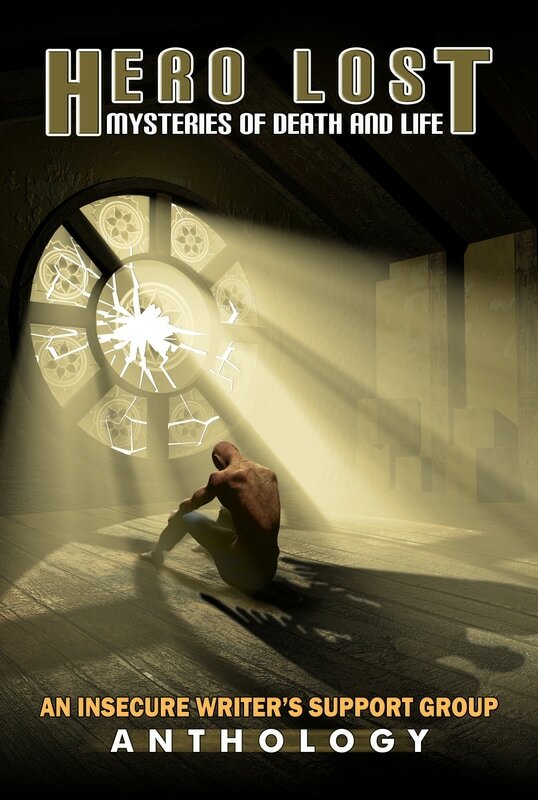 My short story, Breath Between Seconds, was accepted into an anthology about lost hereos with nine other great authors! Phew. I had a scary week! I tried to turn my computer on last Saturday and got a terryfing blue screen that said 'hardware malfunction'. I went into complete denial and decided not to think about it. It took the rest of the week to sum up the courage to try again. My computer is still alive! I was at the Indiana Writers' Consortium yesterday as a vendor, and it was a great day. Met a lot of budding and seasoned writers, found some funny 5 degrees of seperation linkages, caught up with authors I've met at other venues, and was even able to sell some books amidst all that! And, they gave us canolli in a cup. IN A CUP! Whose brilliance did that spew from? I'll post pictures another day. Woohoo! I'm back online! Won the battle with my rotten ISP, which meant I no longer have service with them. Finally relented and reluctantly returned to the other rotten ISP. We'll see how it goes this time. I am not very hopeful. I was in Morris Illinois on Oct 1st for their 2nd annual Author Fair! Had fun, some great chats, and networked with some great new authors. For everyone visiting from the event, thank you! Thank you Lorene for offering it. I'll post some pictures soon......now that my computer can converse with the world once again. November 12th I'll be at the Indiana Writers' Consotiums' Steel Pen Conference. I just joined the Consortium and am eager to get involved! How did July happen? Wow. Happy Independence Day, fellow Americans! As my dog cowers under my desk, please be mindful of your pets. I tried to explain to the Boogers a dogs' point of view: all evidence points to the apocalypse, yet the creatures overlording you have never learned your language so there's no way for you to communicate. But bad things are happening and they're so oblivious, they just go out and sit around a bonfire like it's some sort of celebration rather than take defensive measures. WE'RE ALL GOING TO DIE. We're still- 8 months later- moving into the new house, so I have no idea where her Thunder Shirt is. That thing works. When it's on her. It's July, half the year is already gone. I'm loving the new house, am working on Book Two, getting slightly derailed every now and then by the twists they have been throwing at me. They're really good twists, but they're slowing the process down as they weren't in the original scheme. Lira and her males ALWAYS know best, so I'm writing as quickly as I can, all things considered. I am also working on a new avenue for MTB. I am super excited, and may give more details once it stabilizes more. Want to know where I've been all this time? I got personal in my latest blog post, which you can find here. As this year will be all about writing and catching up, I'll be doing very little author events and signings. ​Happy Thanksgiving :) Enjoy time spent with your families. Just in time for Christmas.....The Chicago Book Expo! There's a full line-up of discussions and readings scheduled, plus a large amount of local authors, vendors, and organizations- for readers and writers alike. And, MTB will be there! See if you spot the new design on something. New Design! I LOVE it. "I didn't think I'd like a fantasy book. I'd never read one before, but I gave it a try, and am I glad I did. This is one of the best books I've ever read! And I've read a lot being 68 years old! I really got into it and it was constantly on my mind when I wasn't reading. A"what could possibly happen next?" kind of thing. I can't wait for the next one!!!" Upoming Author Event: Princeton Public Library's Author Fair will be Saturday, October 24th, from 10am to 2pm! October 3rd, I'll be at the Iowa City Book Fair, held during their Book Festival Weekend! 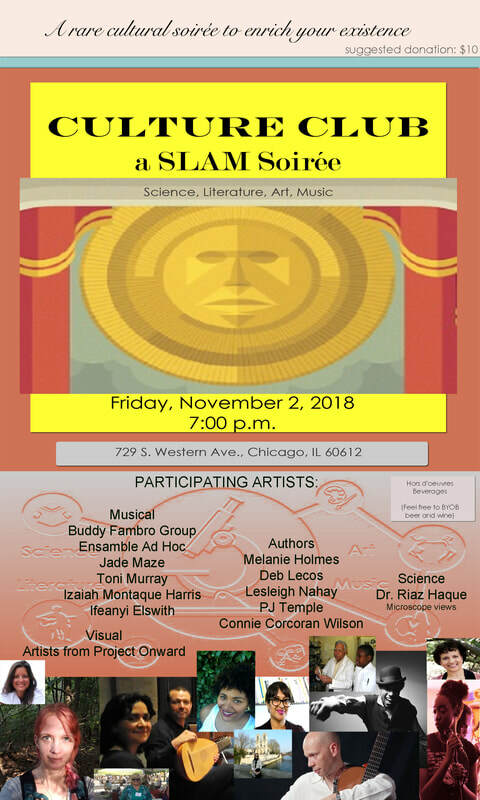 There will be readings, panels, and of course, book sales! Go meet some authors, and take home some new reads. I'll be at the Indie City Book Fair Sunday, August 30th, from 12pm-5pm! I'll be at the Printers' Row Lit Fest in Chicago. Saturday June 6th, from 10-2! This is AWESOME! And look, they share my motto: Expand your mind. Stop by and buy a million or so books and other great finds this street fair always offers. I've attended as a reader every year for the last five and come home with some good stuff. This year, I get to sell RMOS! The Authors' Fair at the Oak Lawn Public Library was fun, and a success! Thank you, OLPL! Happy Mother's Day- to those who can kiss their kids today, and especially to those who can't. Read an excerpt from RMOS as posted in mystery writer Evelyn Cullet's blog! I'll be part of a local author book signing May 16th! I'll post details soon. I've been featured in Les Femme Folles (an online, Women in Art magazine)! Read the article here. Just added some new features! MUSIC and AUTHOR SKETCHES on the EXTRAS Tab. Enjoy! Read my author interview from Awesome Gang! My first author interview with fellow Indie author, Jane Daugherty! Read her YA Green Woman series, and then read my interview and a little clip from RMOS here. I just published a short story, The Dryad, on Amazon! Available for FREE from Friday, September 5th until Sunday September 7th. After that, only $0.99. Some formatting errors have come to my attention in both the eBook and print. I'm fixing them now. Amazon typically updates within a few days, but the other outlets can take several weeks. I'm really sorry, but it's been found and fixed! I can't believe tomorrow is July already. I'm still here, but for the moment, am making up for time spent on last year's writing/publishing and spending time with the family. Please, continue to leave comments, read RMOS and refer her on, follow my boards on Pinterest. The sequel is also in progress! We moved in February....and are still getting settled! New posts and insights will be written and shared soon. In the meantime, have a happy Easter! Just approved the print proof! Should be appearing on Amazon soon! Want to see a little of what went into the cover-making process? Click here for my latest blog entry, Birth of a Cover. Thank you Daniel for your help with the cover! HAPPY YEAR OF THE HORSE (or Unicorn)! To celebrate Lira's favorite holiday, the ebook is now on sale for $3.99! Also, after some more edits, there's a new and improved cover! Enjoy! eBook samples (for Kindle, Nook, Apple, Kobo, and Sony) now available pre-release via Smashwords.com! Otherwise, full ebook available December 14th! Book trailer added! New Quotes and Insights, too! And.....A book cover! New blog post! Check out Ravery's Daughters to understand two of the series' main themes. The cover is underway and looking great! Midnight Tomorrow Books is super excited for the upcoming release of Red Moonglow On Snow, a fiction-fantasy novel by L. Nahay! Check out the Red Moonglow on Snow page for a book description, and its blog for insider information. Follow on Pinterest for sneak-peak images, on Facebook for news and book-worm-related posts, or join on Twitter via the Socialize tab. Stay tuned for updates, including cover art, release date, playlists, and more!